Showing 41 articles from February 5, 2014. 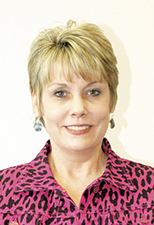 LOUISBURG — The filing period for the primary election begins next week. But the race for seats opening up this spring and fall has been on for weeks — particularly for the sheriff’s job. LOUISBURG — Authorities arrested a Franklin County man for killing a hunting dog — highlighting growing encounters between sportsmen and property owners. According to investigators with N.C. Wildlife, members of Four Bridges Hunting Club reported hearing shots and four of their dogs were missing in the area along N.C. 39 between Louisburg and Bunn on Dec. 28. CENTER OF ATTENTION. Retiring Finance Director Chuck Murray, center, is surrounded by finance staff and other co-workers, from left Mattie May, Ada Pitt, Tracy Stevenson, Kelly Faulkner, Lisa Medlin and Lee Lynch last week. LOUISBURG — Friends, family and colleagues gathered last week to pay respect to a man who has overseen the county’s wallet like it was his own for the past 19 years. 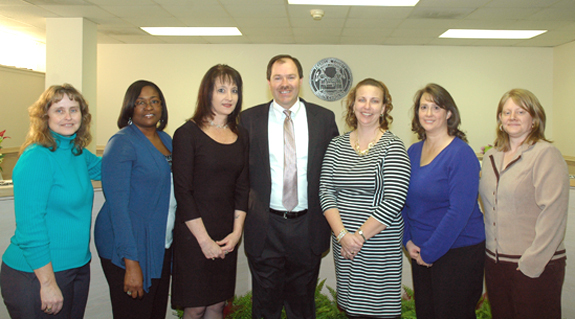 Chuck Murray’s last day as the county’s finance director was January 31. He’ll take a month off before coming back, part-time, to help the county get through the budget season. It seems last week’s blast of wintry weather caused more problems than a few slippery roadways and closed schools. According to the Red Cross, there is an urgent need for blood donors. According to Red Cross officials, since the beginning of January, winter storms and freezing temperatures have forced the cancellation of more than 600 of their planned blood drives and left uncollected 20,000 blood and platelet donations. FRANKLINTON — The police department was bolstered this week by some seasoned vets. They’ve both been deployed to Afghanistan and, now, will be patrolling the streets of Franklinton. 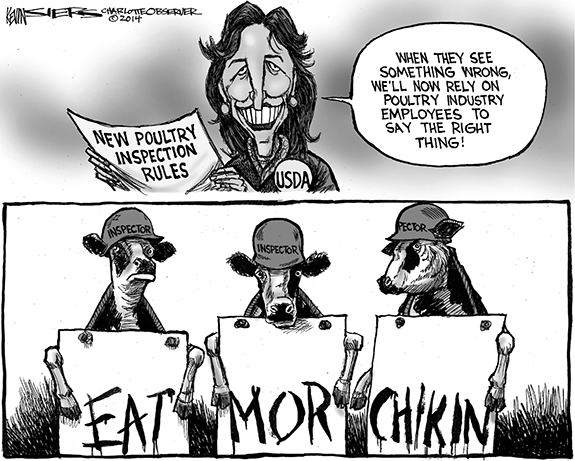 And they’ll be doing it on four legs. 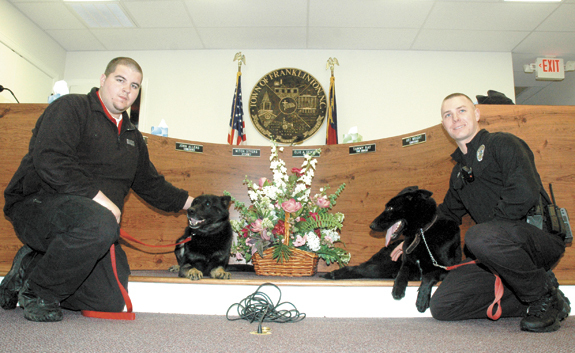 The department, Police Chief John Green Jr. said, acquired the two German Shepherds from K2 Solutions Inc. — an outfit that supplies canine officers to the federal Department of Defense. Snow, ice, cold — all it does is make the spring even more welcome. And it’s coming, not as soon as many of us would like, but spring is just around the proverbial corner. Now is the time to begin planning the world’ best garden that you’re always promising yourself is going to be yours this year. If you’re a parent or a grandparent, here’s a statistic that may send a cold shiver down your spine. A recent analysis by the Associated Press finds that there has been no real reduction in the number of U.S. school shootings since the December 2012 mass murder at Sandy Hook Elementary School. That’s in spite of all the increased security that has been put in place since that tragic day. Politics has long been one of the great blood sports or soap operas, depending on the race and the players involved. I guess it’s only appropriate that, now, it becomes a reality show, as well. According to reports, Renee Ellmers, who represented Franklin County for about 15 minutes, could face a challenge from Clay Aiken, a Wake County man who has found a way to continue stretching his 15 minutes of fame. Much has been said about the destruction of the county records. 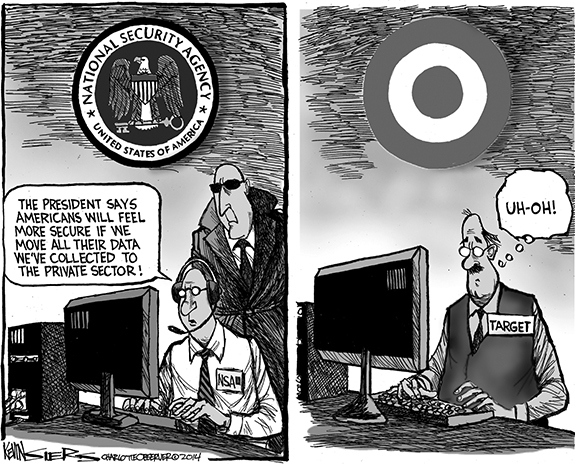 It is easy to get caught up in all of this. Personalities worked their way into the discussion and tempers flared as people came to the aid of their friends. I was having a conversation with a friend and he suggested I may have vilified or had been party to vilifying our county manager for her role in this. Fracking is coming to North Carolina. That is not a wish, it is a dire prediction. Hydraulic fracturing, more commonly known as fracking, is a method of extracting natural gas from deep underground by drilling and then injecting a mixture of fluids into the ground at high pressure, causing the rocks to fracture. The Times’ article of Jan. 23, 2014 covering the destruction of the molding courthouse records fails to answer a critical question: Why is the Tea Party ignoring Clerk of Court Patricia Chastain’s role in the destruction of the records while attacking Angela Harris, our respected county manager? FRANKLINTON —Funeral services for Clara Mae Johnson, 61, who died Sunday, Feb. 2, 2014, will be held Sunday, Feb. 9, at 3 p.m. at Shiloh Baptist Church, with Rev. Davis officiating. Burial will follow in the church cemetery. CREEDMOOR—Essie Evora Dickens Sneed died Saturday, Feb. 1, 2014 at the home of her daughter, Linnie M. Jenkins of Creedmoor. Services were held Wednesday, Feb. 5, at Rock Spring Missionary Baptist Church, Creedmoor, with the Rev. Paulette Jenkins officiating. Interment followed in the church cemetery. KITTRELL - Mrs. Evelyn Kittrell Garner, a resident of 310 Kittrell Road, born on July 10, 1937, in Vance County, the ninth of 10 children of Madeline Cheatham Kittrell and Jesse J. Kittrell, transitioned from this life to the next on Jan. 27, 2014. DRAIN-O. 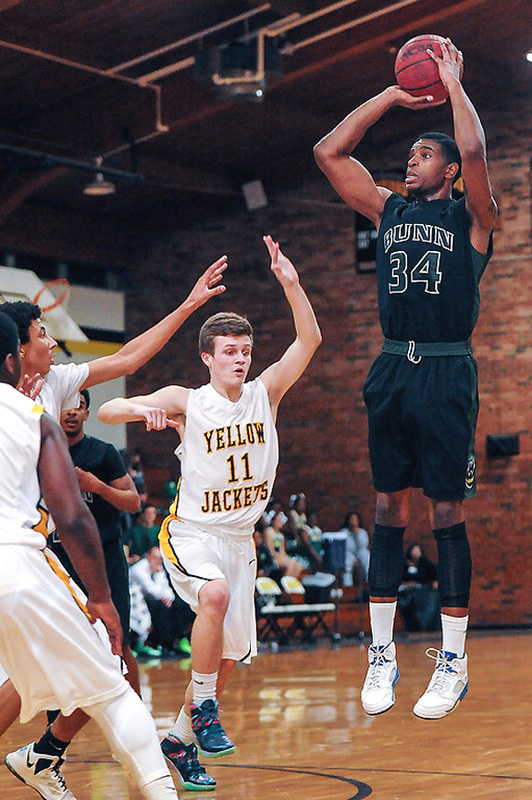 Bunn’s Precious Walker prepares to sink a jump shot during Tuesday night’s road victory against league hoops rival Roanoke Rapids. ROANOKE RAPIDS -- While Southern Vance’s Breona Jones is expected to garner her share of votes for the Northern Carolina Conference Girls Basketball Player of the Year, Bunn coach Matt Keith is encouraging his peers not to forget about another worthy candidate on the ballot. 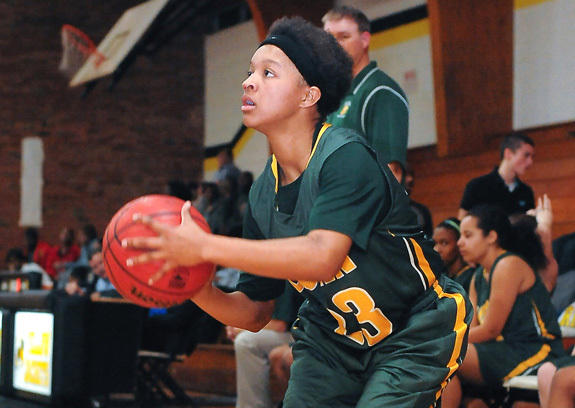 Certainly, Bunn’s Tainasha Vines has put up amazing numbers this season, including a 31-point performance during Tuesday’s road victory against NCC rival Roanoke Rapids. GREAT GAME. Diesha Davis (left) offered a strong performance for the Franklinton Lady Rams during Tuesday’s home setback against Southern Vance. FRANKLINTON - Nobody has been able to figure out the secret to defeating the Southern Vance Runnin’ Raiders in Northern Carolina Conference girls basketball action. 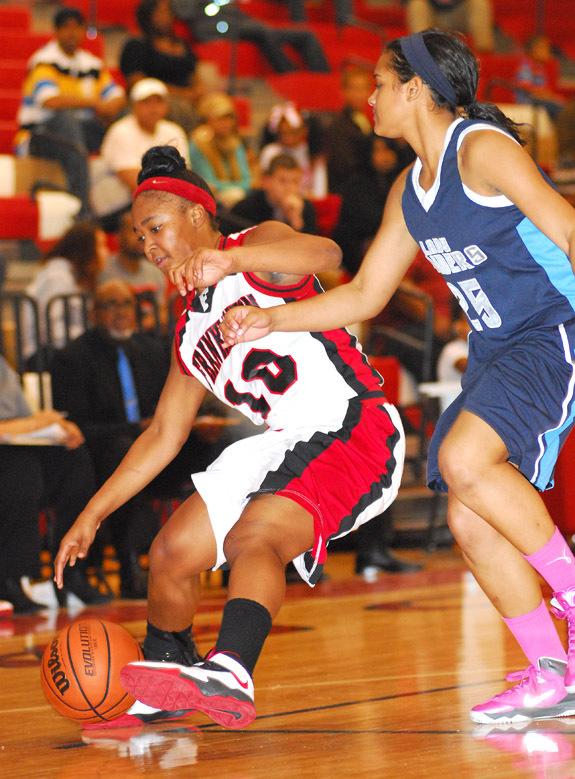 Franklinton has come the closest to solving the equation, but the Lady Rams have been thwarted on each occasion. Earlier in the season, FHS went to the wire with Southern before the Lady Raiders extended late for the triumph in Henderson. GIVE ME THAT BOARD. 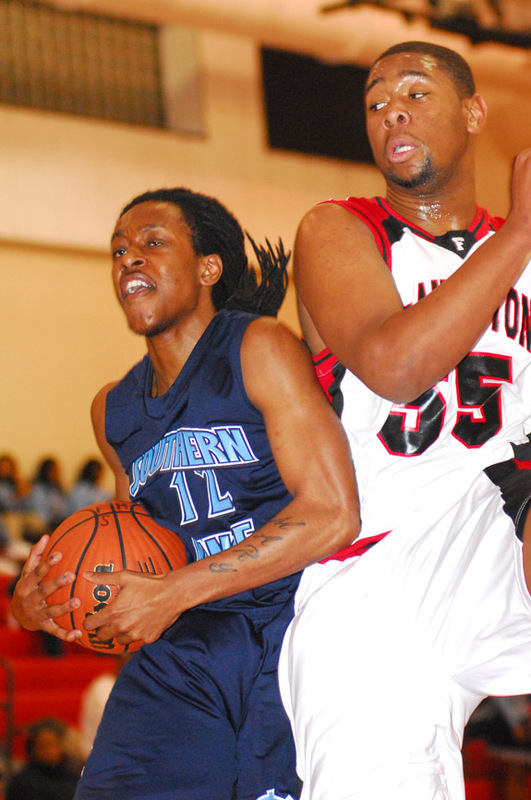 Franklinton’s Romeo Debnam (right) claws for a rebound during Tuesday’s home game with Southern Vance. FRANKLINTON -- Shaking off the rust following an extended layoff can be a predicament for any team, regardless of the sport. That’s the dilemma the Franklinton Red Rams faced Tuesday after not playing a boys basketball game for over one week following the recent snowfall -- and ensuing postponement of school. ROANOKE RAPIDS -- An 11-day layoff may have briefly tempered Bunn’s boys basketball momentum, but it didn’t keep the Wildcats from recording a victory Tuesday night at Roanoke Rapids. It certainly wasn’t the best performance Coach Gerald Melton has seen during his long tenure at BHS. Still, the Wildcats were able to claw out a 42-36 decision over the homestanding Yellow Jackets in a key Northern Carolina Conference showdown. EXHIBITION EVENT. (L to R) Franklinton’s Alex Loury and Bunn’s Josh Terlizzi competed in an exhibition match as part of last Saturday’s Northern Carolina Conference showdown at the FHS Gym. 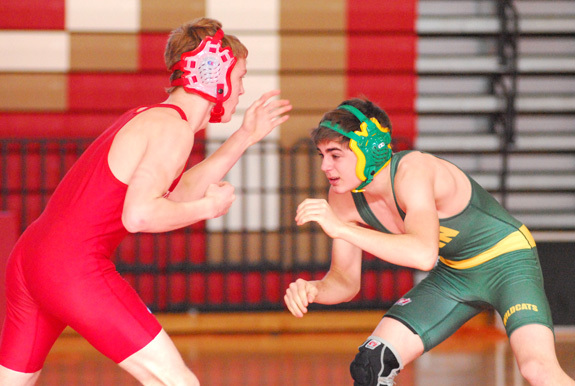 FRANKLINTON -- Due to last week’s snowfall, it was unsure when -- or if -- Franklinton and Bunn were going to face off in a key Northern Carolina Conference wrestling match. Second place in the NCC team standings was at stake, but the event kept getting pushed back by the weather. It wasn’t until Friday afternoon that the meeting was scheduled for one day later. 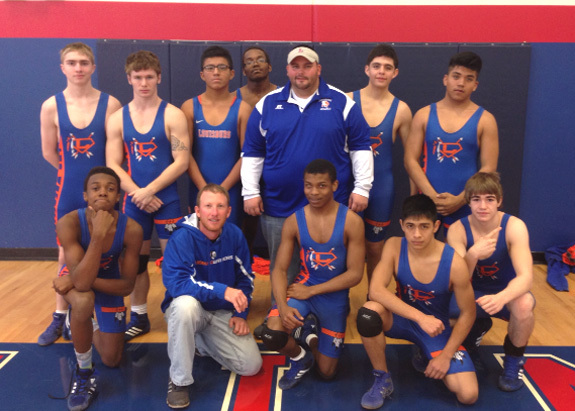 DURHAM -- Louisburg High School defeated Granville Central and host Voyager Academy to claim the dual team championship last Saturday at the Tar-Roanoke Athletic Conference Wrestling Tournament. Louisburg’s Courtney Tart was honored as the TRAC Coach of the Year, while Wrestler of the Year went to Granville Central 138-pounder Arie Freeman. LOUISBURG -- The 20th-ranked Louisburg College women’s basketball team will host Patrick Henry Community College this Friday night and the Lady Canes will also host their 1st annual Play 4Kay game in the Taylor Center. The teams will take part in a nationwide breast cancer awareness initiative and they will be honoring survivors prior to the game. 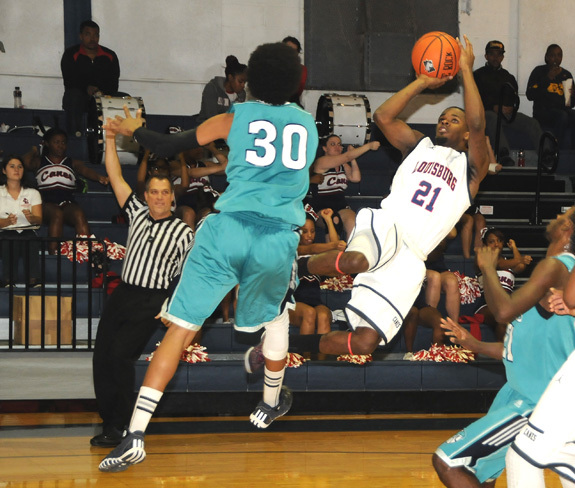 LOUISBURG -- Louisburg College went one up and one down during men’s basketball action last weekend at Taylor Center on the LC campus. Sunday afternoon, Coach Mark Vanderslice’s Hurricanes secured a key victory over Pitt Community College, pulling away for a 93-75 decision. HICKORY -- Franklin County native Jeremy Coburn held North Greenville without a run until the seventh inning as homestanding Lenoir-Rhyne University earned a split with North Greenville last weekend in college baseball doubleheader action. Thanks to Coburn’s heroics, the Bears were able to secure a 3-1 conquest. 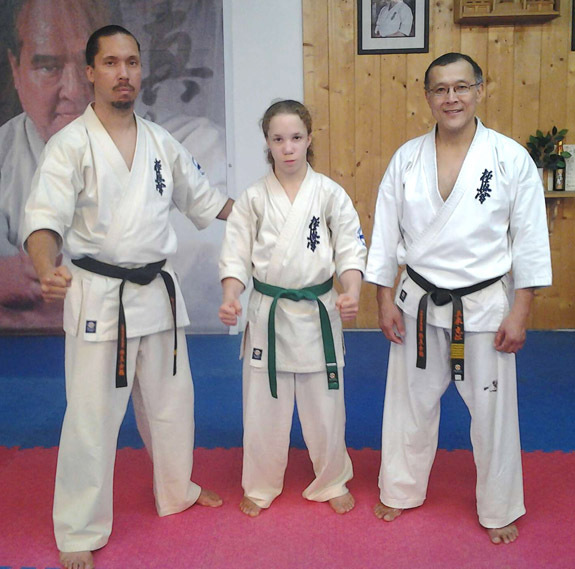 LOS ANGELES, CALIF. -- Christian Buffaloe, the 14-year-old son/student of Kyokushin Karate instructor Kenny Buffaloe, a former Nash County resident, recently competed in the teen youth division of the “2014 Kyokushin Karate U.S.W.C. Tournament” in Little Tokyo in Los Angeles. Sponsored by the I.K.O. Kyokushinkaikan Karate Organization, this annual tournament is one of the largest and most prestigious Kyokushin Karate full contact competitions outside of Japan. 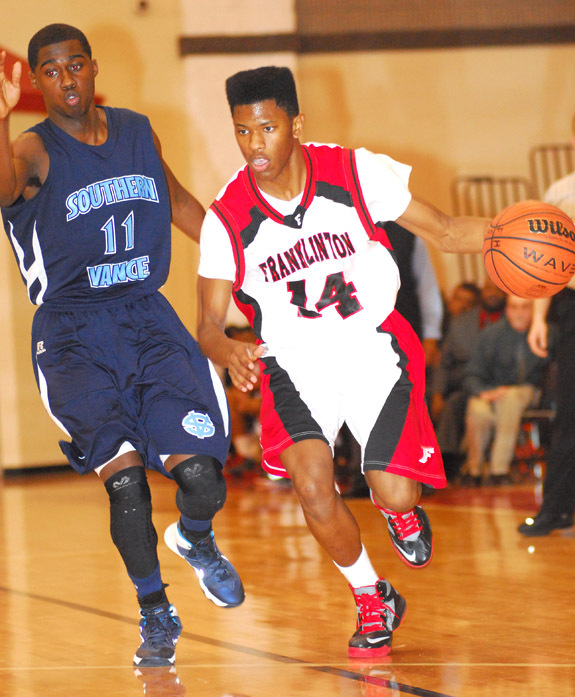 Franklinton’s Fred Harlan (right) drives for a basket during his team’s home conference basketball matchup on Tuesday night against the Southern Vance Runnin’ Raiders. 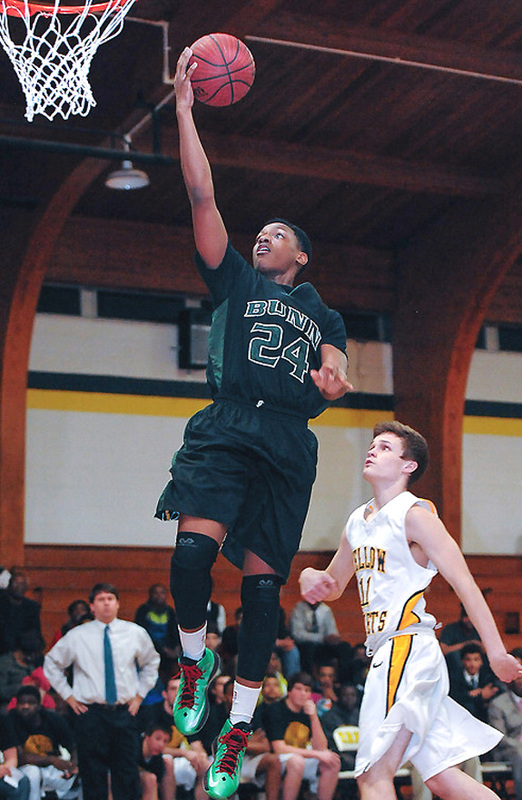 Bunn’s Jordan Lucas (right) sinks a long-range jumper for the Wildcats during Tuesday night’s road basketball victory against Roanoke Rapids High School. 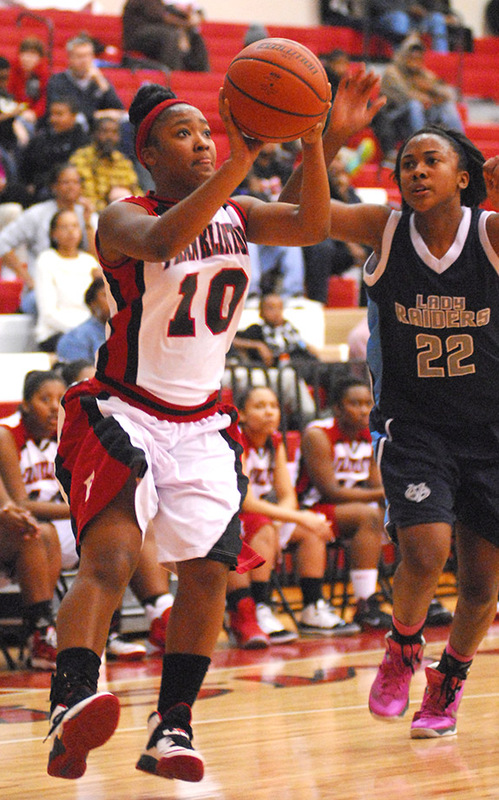 Franklinton’s Diesha Davis cans a jumper during her team’s game on Tuesday with Southern Vance. Franklinton’s Charity Snelling drives for two points during her club’s home matchup on Tuesday night against the Southern Vance Lady Runnin’ Raiders. 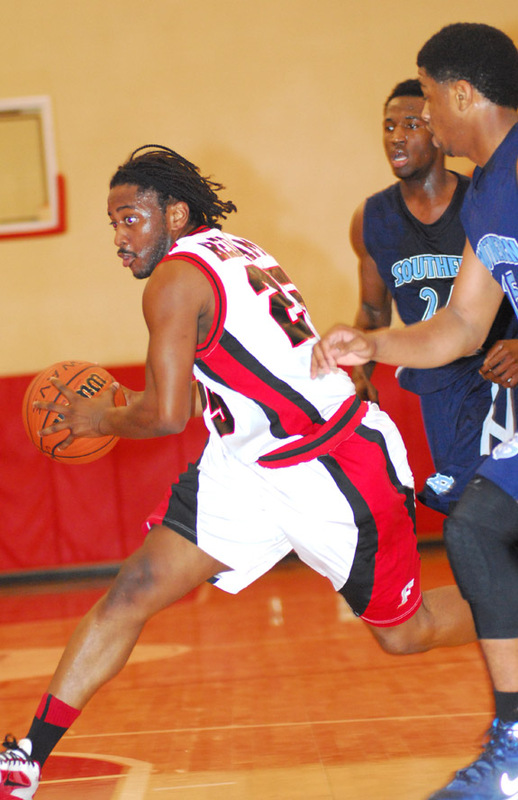 Franklinton’s Tykwan Crudup makes a strong drive during Tuesday’s home basketball contest against league opponent Southern Vance. 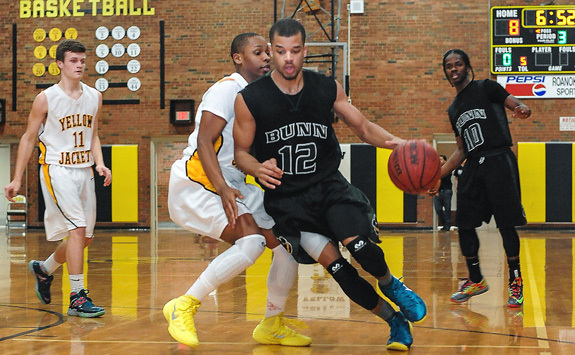 Bunn’s Tyler Sanders (with ball) drives toward the basket during Tuesday night’s road victory against NCC opponent Roanoke Rapids. Bobbie Wrenn of Louisburg recently donated to the Tar River Center for History and Culture at Louisburg College a tintype photograph said to depict Orren Randolph Smith (1827-1913), a veteran of both the Mexican War and the Civil War, who designed a flag that many believe to be the Stars and Bars, the first official banner of the Confederate States of America. Brittany Leigh Evans and Taylor Stephen Elliott were united in holy matrimony on Saturday, May 11, 2013 at 2 p.m. at Trinity United Methodist Church in Louisburg. The double-ring ceremony was officiated by the pastor, Rev. Kellie Gallagher-Smith. 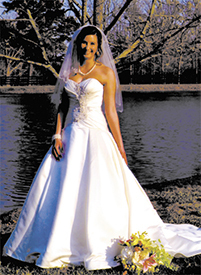 The bride is the daughter of Mr. and Mrs. Frederick W. Harris and Mr. and Mrs. John B. Evans, all of Louisburg. Randall Wade Moreadith of Huntsville, Ala., and Connie Woodlief Moreadith of Raleigh, announce the engagement of their daughter, Kathryn Tierney Moreadith of Milwaukee, Wisc. to Robert Logan Pothier, also of Milwaukee. 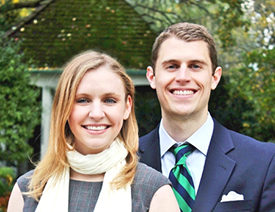 The groom-elect is the son of Robert Samuel and Virginia Lee Pothier of Milwaukee. 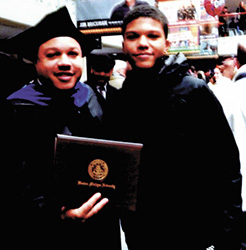 Daryl Green received a Doctor of Philosophy degree from Western Michigan University on Dec. 14, 2013. 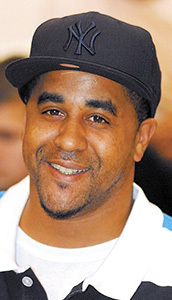 He is a captain at the Lansing Police Department in Lansing, Mich., and the son of Johnny and Stephanie Green and nephew of Florine Edgerton, Alyce Green, Mary Johnson and Anthony Green, all of Louisburg. Franklin County sheriff’s deputies are looking for suspects who assaulted an older man during a robbery. Curlee Carlyle reported the evening of Jan. 24 that he was at his Carlyle Road home when a man wearing a toboggan knocked on his door. Carlyle didn’t know the man and denied him entry. Then, according to the report by Dep. George Perry, the suspect broke the window and tried to unhook the latch, but could not. He kicked open the door and demanded money. 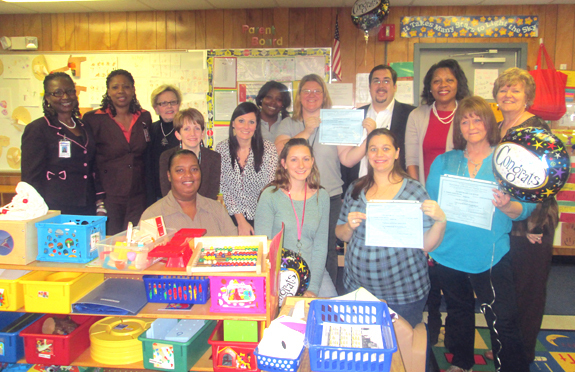 The NC Pre-K classrooms at Edward Best Elementary School, Franklinton Elementary School and Long Mill Elementary School recently received temporary licenses from the North Carolina Department of Health and Human Services Division of Child Development and Early Education. Franklin-Vance-Warren Opportunity, Inc., Head Start is accepting children for the 2014-2015 program year. Children must be 3 years of age as of Aug. 31, 2014. Parents of children with mental, physical or emotional impairments are encouraged to apply. The program will make special provisions to serve children with special needs. These provisions include, but are not limited to adaptive equipment and transportation.